It all depends on the way you’re eating it! Let’s take for example person A and person B who decide to have sushi for dinner! Person A orders 22 maki rolls with 5 salmon sashimi and 5 tuna sashimi. 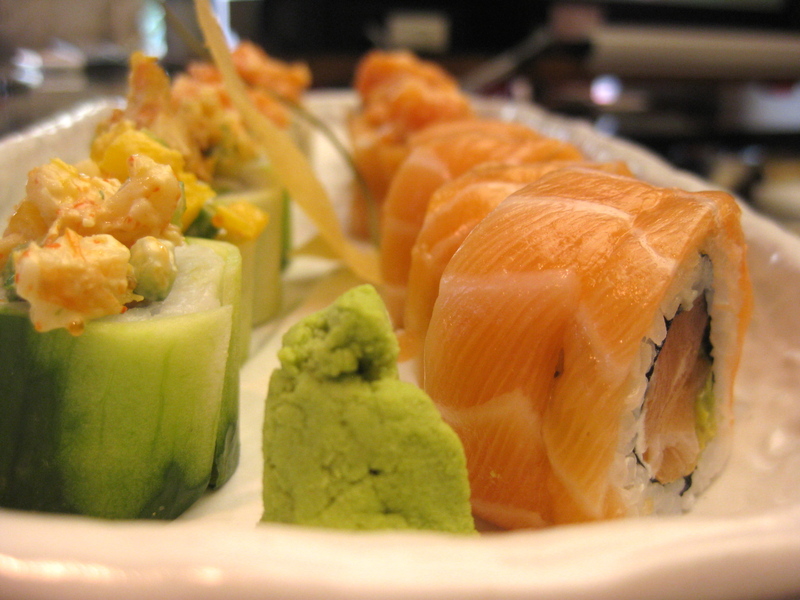 Person B suggests edamame to share and orders, a salmon tartare, 6 maki rolls and 10 tuna sashimi. At the end of this dinner who would have ingested more calories ? And who would have benefited more from the healthful nutrients of this dinner ? Think about it and leave your comment below since your opinion counts! person A more calories, and person B healthy.! Bottom line, know what you’re eating when you go for Sushi, Thank you Nucci !! ← ~Onion soup,Mushroom soup or Tomato soup ?